Welcome to The Dover Castle Hostel and Bar, providing backpackers and students with great value accommodation and entertainment since 1985. Whatever your circumstances, we will supply you with all you need to experience the best of London. Value rooms starting from £15 per night. We're located in Borough, just a few minutes walk to London Bridge and London's Southbank with close proximity to major tourist attractions, such as the Tower Bridge, St Paul's Cathedral, Southbank, Tate Modern and the London Eye. Lively entertainment every night, free Wi-Fi, a fully equipped guest kitchen, TV room, laundry facilities, lockers, a free luggage room, and much more. Longer staying guests can be set up with private rooms in houses and in flatshares, arranged via our Dover Castle flatshare agency. Guests can rent large single rooms or a twin room for 2 persons. The kitchen and bathroom facilities are shared. The houses and flats are located in Zone 2, Southeast London, typically 20 minutes from London Bridge. 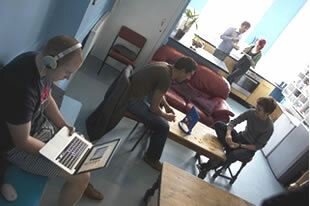 Your temporary base in London where you can stay, relax, meet, and interact. 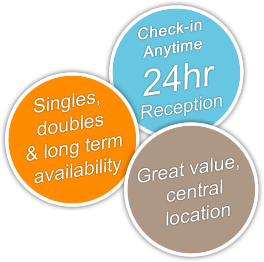 Whether you're planning to stay in London for the short or long term, we offer great value to enhance your experience. 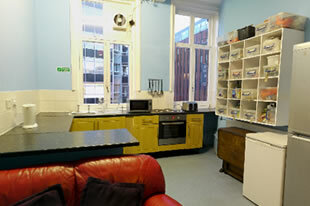 Special summer weekly rate for dorm bed in the Hostel for only ￡85 a week. We offer Single and Twin Rooms in our friendly international flatshares. Talk to us about your group booking. 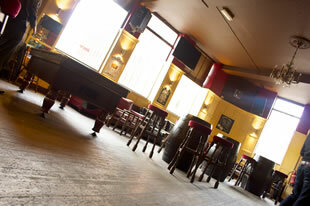 We have facilities to cater for your needs. Plan your journeys whilst staying with us and use this online route planner. Copyright 2014 Dover Castle Hostel & Flatshares. All Rights Reserved.